"We want to make money when people use our devices, not when people buy our devices." This differs markedly from Apple's strategy. My question: Can it work? I've always wondered how much more, on average, a consumer buys through Amazon after purchasing an ereader or tablet. "What we find is that when people buy a Kindle they read four times as much as they did before they bought the Kindle. "But they don't stop buying paper books. Kindle owners read four times as much, but they continue to buy both types of books." People read four times as much! Wow. Read the entire BBC article here: Kindle Fire HD and Paperwhite sales make Amazon no profit. Thanks to PG for mentioning it. I can't believe kindle readers read 4x as much. This is a really interesting post. I was looking for the one I last commented on to answer your question. I write historical/political/lit fiction but want to branch out. 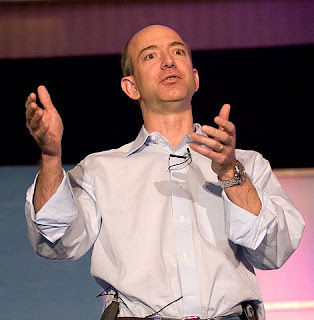 My experience with the Kindle invalidates Bezos's claim. I read 10x as much on Kindle as I read on spines.